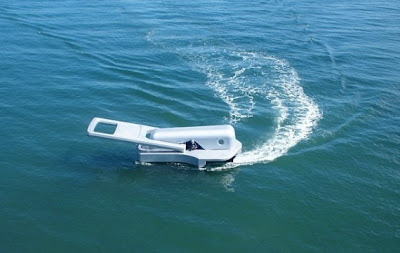 Collection of "Creative Boats and Cool Watercraft Designs" from all over the world. Transparent Canoe: It's made out of polycarbonate material lighter than most aluminum or wood canoes, weighs only 40 lbs., and this transparent canoe provides 100% visibility. 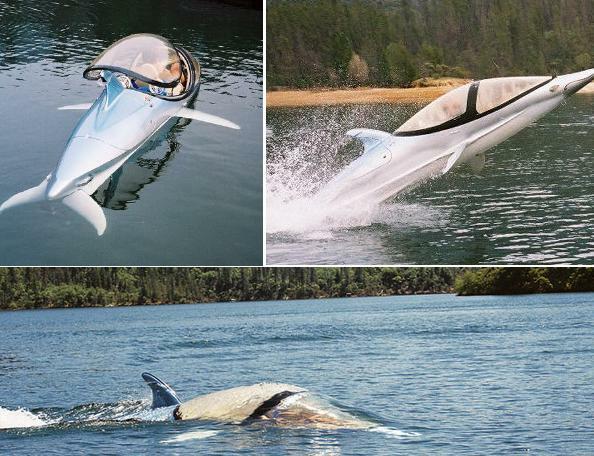 Dolphin Boat: This submersible watercraft is designed and built by Innespace. 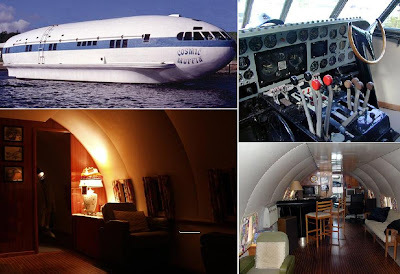 Plane Boat: Plane boat is made from a Boeing 307 Stratoliner originally owned by industrialist and aviation pioneer Howard Hughes. He acquired the plane in 1939 as part of his purchase of TWA. sQuba: It's a submersible car by Rinspeed, a Swiss company; the car can run both on road, and at the push of a button - go up to 10 meters (33 ft) underwater. 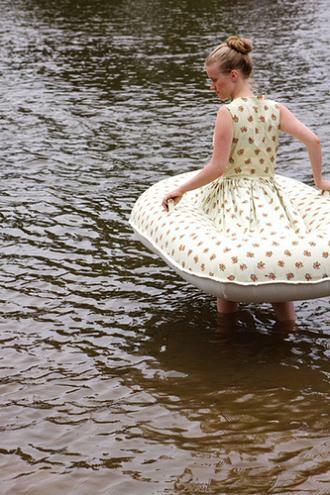 Floating Donut: It's designed and developed by S Schmitt; it measures 12 feet in diameter and can travel at 2.5mph. Zipper Boat: Designed by Japanese artist Yasuhiro Suzuki, this motor boat looks like a big zipper. Model Kit Boat: Designer Johansson transforms a real boat into a model of itself. 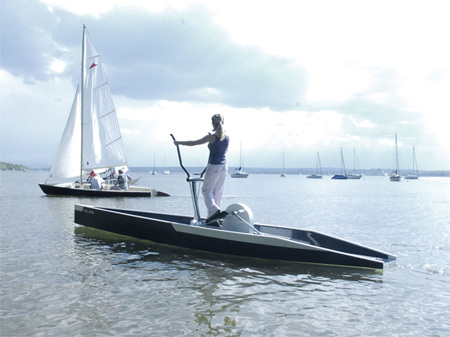 Elliptical Boat: Human powered boat allows you to 'walk on water'. Whale Boat: The whale shaped boat measures 65ft long, 25ft high and weighs in at 60 tonnes. Hotdog Boat: It's a 27ft an actual working boat. Wooden Ferrari Boat: Artist Livio De Marchi sculpted a full size Ferrari F50 boat out of wood. 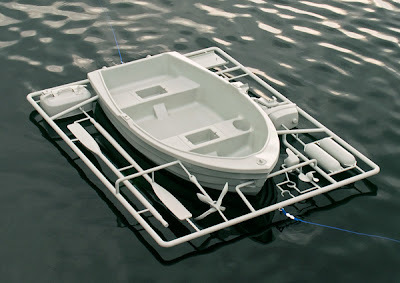 Paper Boat: A 9-meter-long, 25-kilogram using 170-square-meter life size paper boat was created by artist Frank Boelter. 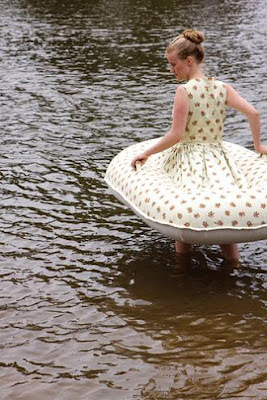 Dress Boat: Its an unusual combination of dress and a boat; this artwork creates an impressive visual effect, but an important question remains unanswered: will this dress boat float on the water just like any other regular boats or not?